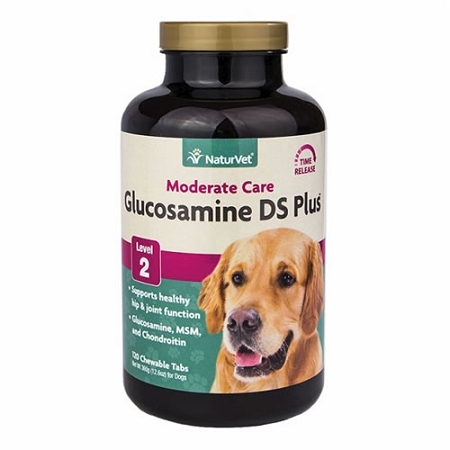 Home > Misc > See All Products > See All Dog Products > Joint Support for Dogs > NaturVet Glucosamine DS Plus Level 2 for Dogs - 120 Ct.
NaturVet Glucosamine DS Plus is a double strength glucosamine, MSM and chondroitin supplement for dogs with moderate joint pain and stiffiness. 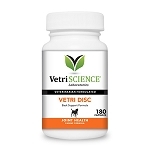 Formulated to supply important joint support for adult dogs including large breeds and overweight dogs. Glucosamine is an easily absorbed natural substance that stimulates the production of proteoglycans which help maintain the health and resiliency of joints and connective tissues. Glucosamine DS Plus contains important antioxidants to help protect against free radicals that cause cellular damage. Glucosamine DS is a time release formula that ensures long lasting performance and balanced absorption. Each bottle contains 120 tablets. Also available size in 16 oz. liquid. I am totally and completely satisfied with this product. 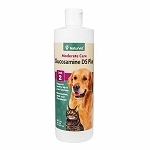 My dog who is 8 yrs old was to the point of not wanting to jump up on the bed and was struggling to get on the couch after 3 weeks of taking this product he is back on the bed and a lot more active. I recommend this product absolutely!!!! This product met all expectations I hoped for. Choo Choo is more active again and is back to jumping up on the bed and just seems to be a back to normal for as much as an 8 yr old dog can be. I will continue to order this product !!!! Condroitin is produced in the body and it works to prevent enzymes from degrading the building blocks of joint cartilage. 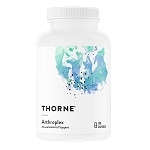 Chondroitin sulfate is often used in combination with glucosamine, however, when used alone, glucosamine sulfate helps the body to manufacture its own chondroitin. Citric Acid, Dicalcium Phosphate, Dried Whey, Fish Oil, Flaxseed, Magnesium Stearate, Maltodextrins, Microcrystalline Cellulose, Montmorillonite Clay, Natural Flavoring (from chicken liver), Non-Fat Dry Milk, Rosemary Extract, Silica Aerogel, Stearic Acid and Vegetable Oil .